Framed inspirational photo with quote. 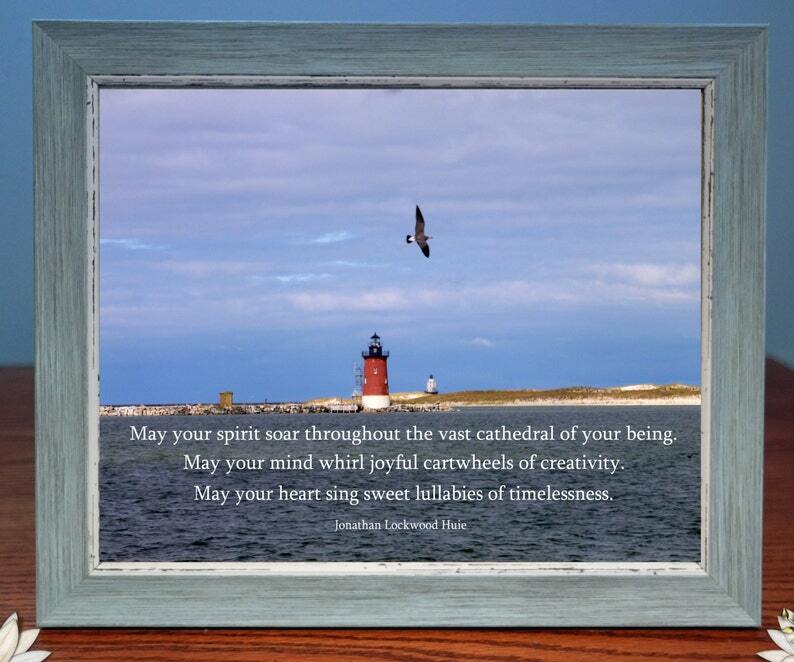 May your spirit soar throughout the vast cathedral of your being. We offer 2 photo and frame sizes: 5 x 7 and 8 x 10. Our photos are professionally printed, our frames are high quality and have black velvet backings and can stand alone or be hung. We will take great care in creating your gift. If this is a gift for someone we are happy to add a hand written note, simply click on the custom request icon and let us know what you would like us to write on your note and add with your gift.